Amar Singh’s hawking expedition is shown in consecutive scenes. 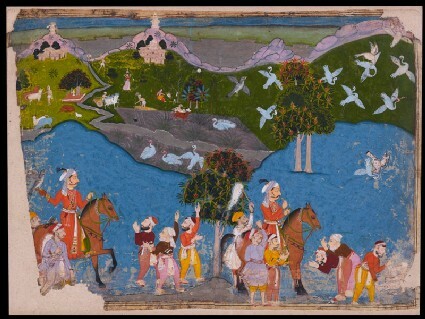 On the left, his huntsmen point out a group of sarus cranes near a river. The royal hawk is released, pursues the flock and brings down a crane in the right corner. 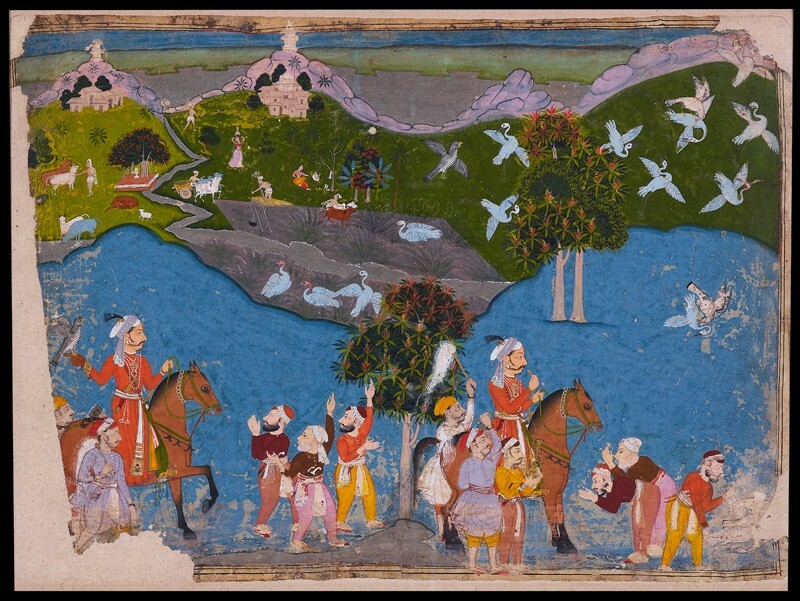 The huntsmen congratulate the Maharana as he inspects the kill. In the background villagers and their animals are seen in the fields.